In Part 1 of his 2016 MLB Trade Value rankings, Jonah Keri picks his players who missed this year's cut, lists his honorable mentions and ranks Nos. 50–40 for this season. Baseball is a copycat sport. Whenever a team surges to unexpected success, rivals go hunting for the secret sauce that enabled that rise to glory. With the Royals coming off a World Series victory and two straight pennants, the latest trend has some wannabe contenders hoarding relief pitching, hoping to build Kansas City-like superpens. But if demand for top relief pitchers were truly soaring, we’d see that reflected in their price tags. Instead, teams mostly continue to buy solid relievers without paying through the nose. Meanwhile, the price for starting pitchers has shot to the moon: The Cardinals tossed $80 million at Mike Leake, the embodiment of a league-average pitcher, and no one blinked. With that in mind, say hello to the fourth annual edition of my MLB Trade Value column. For the first three years of its existence, this column ran at Grantland.com, but with Grantland set free to go play on a farm somewhere upstate (don’t tell the kids the truth! ), I’m thrilled to bring it to my new gig at Sports Illustrated. So what is the MLB Trade Value column, exactly? Put simply, we try to answer the age old question that’s spurred so many barstool debates: Would you trade this guy for that guy? That’s where this exercise gets tricky. Rather than simply ranking a player based on talent or raw numbers, we need to consider a wide range of factors. How old is he? What does his health record look like? For how many years does his team control him, and at what salaries? Given all of those factors and more, we then ask an elemental question: If every team made every player available via trade, which guys would fetch the greatest return? To build this list, I used plenty of statistical analysis, including advanced defensive metrics, age curves, pitcher attrition rates and even how often certain agents steer their clients toward free agency rather than re-signing (Scott Boras clients get dinged accordingly). But this is still a subjective exercise, with no indisputably right or wrong answers. Would you rather have Clayton Kershaw making $32–33 million a year for the next five seasons, or Chris Archer making a total of a hair over $20 million for the next four (with very affordable club options for 2020 and '21)? As tough as it would be to pass on the greatest pitcher on Earth, you’d have to consider Archer (and the gigantic cost savings you could use to buy several other really good players to go with him). I posed all of these questions to a bunch of general managers, assistant general managers and other talent evaluators. I pored over the numbers, contracts and many other variables that go into making players desirable. The end result is a list of the 50 most valuable players currently employed by major league organizations (minor leaguers were considered; players in Japan, Cuba, college, high school and elsewhere are not), as well as some honorable mentions who just missed the cut. We'll split the rankings into three parts: Part 1 will hit the players who fell off last year's list, the honorable mentions and Nos. 50–40; Part 2 will cover Nos. 39–21; and Part 3 will be the top 20. A quick word before we get started: Bill Simmons came up with the idea to rank all NBA players by trade value many moons ago, and I’m grateful that he blessed the idea of an MLB Trade Value series when we worked together at Grantland. I also want to acknowledge the excellent work of FanGraphs’ Dave Cameron, who’s been doing his own MLB rankings for the past several years. Before we get to the rankings, however, a quick look at the rules. Jose Bautista is a better hitter than Christian Yelich, but Bautista will be eligible for free agency at the end of the 2016 season, and the Marlins control Yelich’s rights through '22—at a very affordable price. Curtis Granderson and A.J. Pollock put up similar offensive numbers in 2015, but Granderson is 34 and Pollock is 28, suggesting Pollock has more productive years ahead of him. If every team started shopping every player as a trade candidate, which players would attract the biggest return from any of the other 29 clubs? For instance, if we’re comparing the trade value of Xander Bogaerts and Kyle Schwarber, we’re not concerned that the Cubs have a dynamic, young shortstop of their own in Addison Russell, or that the Red Sox have a ton of quality outfielders (and multiple talented, young catchers too). Instead, we want to know this: If every team were allowed to bid on Bogaerts and Schwarber, which player would net the greater return? If a shortstop and first baseman put up comparable offensive numbers, the shortstop is the more valuable player, since it’s much tougher to find someone with the defensive chops to handle short than one who can man first. That’s already accounted for in the Wins Above Replacement metric, which you’ll see referenced occasionally here, but it bears repeating. These are not fantasy baseball rankings, so a player who hits 30 home runs isn’t necessarily more valuable than one who hits 20, or even five. If Sonny Gray is No. 20 on this list, it means the Athletics likely wouldn’t trade him for anyone ranked 21–50, but they would have to at least consider swapping him for the players ranked 19–1. All contract figures from Cot's Contracts; all WAR figures from baseball-reference.com. Before we get to this year’s list, here’s a quick rundown of the players we ranked in the top 50 before last season (Part 1, Part 2) but who fell off this year's list. Devin Mesoraco (No. 50) played in just 23 games in 2015 due to a serious hip injury. If he’s healthy come Opening Day, he’ll likely mash. Edwin Encarnacion (49) and Jose Bautista (48) were two of the driving forces behind the Blue Jays’ first playoff run in 22 years. They’re also both free agents at the end of this season. Whatever happens from here, we’ll always have this. Kyle Seager (47) is a good player on a good deal, but like several other players on last year’s list, he fell off largely because 2015 was a historic year for rookie talent. Gregory Polanco (45) needs to show he can hit over a full season if he’s to jump back onto this list. His youth, multiple tools and strong second half make him Honorable Mention-worthy. A few months after Cubs manager Joe Maddon called Jorge Soler (44) “Vladimir Guerrero with plate discipline,” the 23-year-old became the subject of hushed trade rumors after a disappointing season. He could still break out at any time and belongs with Polanco in that Honorable Mention-with-upside class. Employing an ace like Cole Hamels (39) for $73.5 million guaranteed over the next three years (or $87.5 million over four, if the Rangers exercised his 2019 option rather than buying it out) is a pretty sweet deal given the massive contracts getting handed out to inferior pitchers lately. He’s probably something like No. 53 on the overall list. Carlos Gomez (37) and Stephen Strasburg (36) can test free agency at season’s end. Some players fail to take a step forward after a big rookie season; Yordano Ventura (35) was one such player. Andrelton Simmons (32) can’t hit, which (along with his increasingly expensive salary and the Braves’ desire to start from scratch) explains why he got traded to the Angels in November despite his Ozzie Smith-level defense. Troy Tulowitzki (31) is now on the wrong side of 30, and the Jays owe him at least $100 million over the next five years. That’s a lot of dough for an injury-prone player whose numbers away from Coors Field are a question mark. Yadier Molina (29) and Adam Wainwright (28) suddenly look like old players on the downside of their careers rather than franchise cornerstones. Julio Teheran (27) had a multi-year contract that looked a lot more team-friendly before he posted an ERA over 4.00 with fielding-independent numbers that were even worse. He’s still Honorable Mention material, though: He offers five years of below-market rate control and is one of only 16 pitchers to throw 200-plus innings the past two seasons. He’s also the youngest member of that group. I moved Freddie Freeman (26) around far more than any other player before essentially ranking him at No. 51. Pros: Good hitter, just 26 years old, controllable through 2021. Cons: Not cheap at $20 million-plus a year after 2016 and doesn’t have overwhelming power numbers for a first baseman, having slugged above .500 just once and topped out at 23 homers. Yan Gomes (25) offers a staggering six more years of inexpensive control. 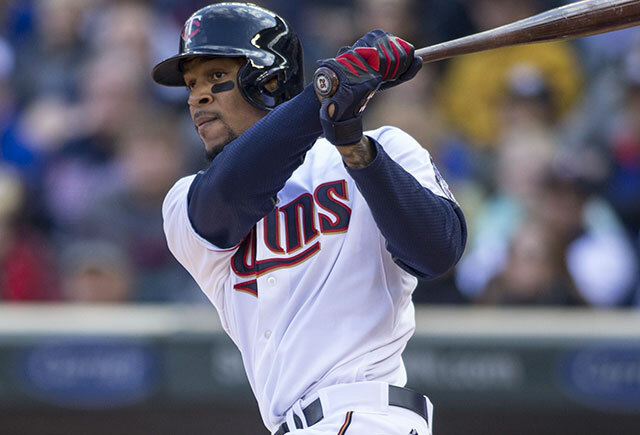 He also struck out 104 times against just 13 walks last year, marking his second straight season of fading plate discipline and turning him into a replacement level hitter. Evan Longoria (21) just turned 30, has been a fairly ordinary offensive player the past two years and is no longer cheap. The Rangers control the rights to Yu Darvish (17) for just two more seasons, and we might not see him until May or June after Tommy John surgery last spring. Michael Brantley (16) just misses this list; off-season shoulder surgery created just enough uncertainty to nudge him off. An injury-plagued 2015 campaign dampened the numbers of Jonathan Lucroy (12); he’s still Honorable Mention-caliber with two dirt-cheap seasons of team control to offer. 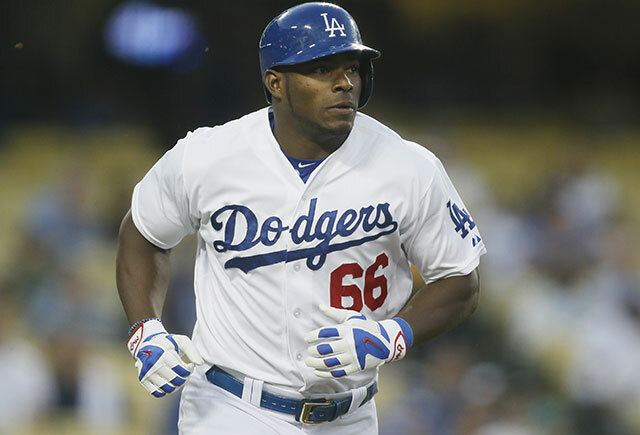 Yasiel Puig (10) missed 83 games due to injuries and benchings, saw his offensive numbers plummet and flashed multiple defensive lapses. A clause in his contract also wipes out his artificially cheap salaries in 2017 and '18, pushing him into arbitration. His erratic and disruptive off-field behavior—which you may or may not trace back to his horrifying past—also casts doubt over his future. Injury concerns reared their ugly head again in 2015 for Anthony Rendon (9). Add to that his middling power and Boras as his agent, and multiple execs I talked to were a bit bearish on his future. In addition to players like Soler, Polanco, Hamels, Freeman and Brantley, here are a few other players who just missed the cut but are still worth highlighting. When healthy, Kipnis is one of the best hitters in the game at second base, and he offers five years of club control, with the next two coming for the dirt-cheap sum of $15 million. But injury concerns and a drop in power numbers the past two years keep him off the top 50. As for Panik, the Giants control his rights for five more years—a good thing when you employ one of the best contact hitters in the game. Richards made the list last year after a dominant season cut short by a violent knee injury. He fired 207 strong innings in 2015 and projects as one of the best righthanders in the American League for the next few years. Miller is just 25 years old, controllable for the next four years, and coming off a terrific season once you ignore antiquated stats like win-loss record. If we based trade value solely on what Diamondbacks GM Dave Stewart thought, he’d be really high on the list. Martinez and Wacha are both really good and really young, but they also both carry injury concerns. Salazar, meanwhile, has absolutely filthy stuff, strikes out more than a batter an inning and is a pretty good bet to make me regret leaving him out of the top 50. There are really no holes in Quintana’s resume: He’s racked up 200 or more innings three years in a row, turned 27 on Jan. 24, is cheap and controllable through 2020 and prevents runs year after year, leaning on excellent command. Severino looked nearly unhittable at times following his August call-up last year, only turned 22 last month and can’t test free agency until 2021.That gives you some idea of how loaded this year’s Trade Value class is when an asset that attractive can’t quite make the cut. 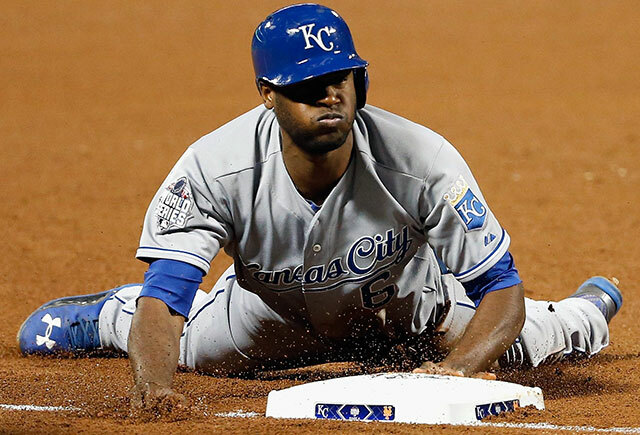 Known mostly as a speedster and stellar gloveman at the start of his career, Cain blossomed into an all-around star last year, combining Gold Glove-level defense with a more potent bat. If the Royals controlled him beyond 2017, he’d be a cinch to make the top 50. Pederson was the three true outcomes king of baseball for the first couple months of 2015; along with his speed and capable defense in centerfield, that made him look like a leading Rookie of the Year candidate and franchise building block. After that, the homers and walks parts of the three true outcomes went away, and he just struck out a ton. The youth and talent are still there for big years ahead. Martinez has quietly turned into one of the most devastating power hitters in the game, filling the void left behind after Victor Martinez—predictably for anyone who wasn’t Tigers owner Mike Ilitch—crashed back to Earth after his massive, mid-30s contract year. The Astros have done some phenomenal things during their cellar-to-playoffs run; releasing Martinez for nothing two years ago was not one of them. Kiermaier is the one of the toughest players to evaluate in baseball. One advanced defensive metric has him saving 42 runs more than the average centerfielder last year, which is roughly equivalent to Miguel Cabrera’s offensive contributions last year. If we can even partly trust those defensive metrics, five years of control over Kiermaier become huge, even if he merely settles in as just a half-decent hitter. The profile on d’Arnaud hasn’t changed: He’s young, can rake, plays good defense and offers lots of team control. He’s also a perennial injury risk. If he can ever resolve the health issue, d’Arnaud could grow into a multiple-time All-Star for the Mets. In the minors, Franco established himself as one of the best hitting prospects in the game, with impressive power and good hand-eye coordination to help limit strikeouts (albeit with few walks) and the kind of rough defense that made you figure he’d shift from third base to first soon. In his first extended stint in the majors last season, Franco batted .280/.343/.497 in 80 games and flashed every single one of the traits he’d shown down on the farm. He might become Ryan Howard’s replacement once the big first baseman’s onerous contract finally runs out this fall. That takes care of the honorable mentions. Now: Onto the top 50! A reminder: We're doing Nos. 50–40 today, with 39–21 coming tomorrow and the top 20 on Friday. Don’t ever start an argument about starting catchers who play in Missouri; it’ll end terribly. As with Molina before him in St. Louis, Perez has earned an outsized reputation as a star with Kansas City. Since bursting into the league with a .331/.361/.473 debut in 2011, Perez’s offense has declined in each of the following four seasons, with a .260/.280/.426 mark that rated as 13% worse than the average AL hitter on a park adjusted basis despite a career-high 21 homers. The main culprit for that lack of productivity is an absolutely abysmal batting eye, one that netted just 13 walks in 553 plate appearances last season and far too many outs. Even for a catcher, Perez is unfathomably slow, costing his team a few more runs every year. But Perez is supposed to be a defensive mastermind, and that surely helps his team a great deal, right? Well, turns out that while Perez might (or might not) possess tough-to quantify defensive skills such as calling the right pitches at the right time or making pitchers feel at ease, he consistently ranks as one of the worst catchers in the game when it comes to framing pitches for strikes. Perez is still, unquestionably, a valuable asset. He’s 25 years old, his power numbers have ticked up year by year, he’s a popular teammate and he might possess a range of defensive skills that aren’t easy to track. But whether through maturing into his prime years, having Ned Yost ease off his workload a bit so he doesn’t fade in the second half every year or some other mechanism, it’d be nice to see Perez consolidate his skills and become the elite player that he isn’t yet—even if his supporters think he’s already there. NB: Since the initial writing of this blurb, Perez has signed a five-year, $52.5 million extension, taking him through his age-31 season. The Royals might've done this to keep their catcher happy, but there certainly wasn't much of an on-field reason to do it, with Perez under team control through 2019 before the extension. Before that new deal, he was ranked 46th on this list, thanks in part to his (formerly) criminally cheap contract—he was owed just $2 million this year, with club options for the next three years at just $3.75 million, $5 million, and $6 million. With that no longer the case, I've accordingly dropped him a few spots. Though his team got bat-flipped out of the playoffs by the Jays, Odor enjoyed a coming-out party during the 2015 ALDS. The toolsy second baseman reached base eight times in 21 plate appearances, cranked a screaming, line-drive homer off lefty ace David Price, looked smooth at second base and generally made life miserable for Toronto. Those who’ve followed his career for a while shouldn’t have been surprised. Ranked as the 39th-best prospect in baseball heading into the 2014 season, Odor made his major league debut at age 20, a precocious occurrence that usually bodes well for a player’s future. Odor’s playoff breakout last fall followed an impressive regular season in which he cranked 16 homers, 21 doubles and nine triples in 120 games, showing off athleticism and better-than-average defense at the deuce and establishing himself as one of the most fun-to-watch young players in the game. He just turned 22 on Feb. 3 and might be years away from hitting his peak—a scary thought for the rest of the AL. Of the 36 pitchers who tossed enough innings to qualify for the AL ERA title last year, Walker’s 4.56 mark ranked fourth-worst once you adjust for the pitcher friendly environment of Safeco Field. So why is he considered the 48th-most valuable commodity in baseball? First of all, about two-thirds of the pitches that Walker threw last year were fastballs, and for good reason: It’s a nasty pitch that averaged better than 94 mph and produced lots of weak contact. Second, Walker’s peripheral stats belie that poor ERA. He clocked a shade fewer than four strikeouts for every one walk in 2015 and was especially beastly at home, with a strikeout-to-walk mark of better than six-to-one. Finally, he’s 23 years old, healthy and can’t test free agency for five more years. As terrible as the Mariners’ recent track record has been on developing position player prospects, Walker’s star potential could at least alleviate a bit of that pain. They’re both right. Carrasco is coming off a season in which he ranked second among qualified AL starters in strikeout rate and third in strikeout-to-walk rate. The Indians can control his rights through 2020 for just $37.5 million (not counting performance bonuses) if they pick up his two club options. On the other hand, Carrasco will be 29 on Opening Day, and 2015 marked the first time he’d ever made more than 21 starts in a major league season. He’s a hell of a bargain, but it’s tough to bank on him as a bona fide star. So, ummm ... mulligan? Buxton’s highly-anticipated MLB debut was a bust. The player viewed by most as the best prospect in the game the past two years batted just .209/.250/.326 with 44 strikeouts and just six walks in 138 MLB plate appearances. But not every rookie hits the ground running; count Mike Trout, as well as future Hall of Famers like Tom Glavine, among those who struggled at first before ramping up their game. At a minimum, Buxton is an absolute blur on the base paths who’s going to chase down a zillion gappers with his blazing speed and gun down plenty of base runners who dare test his arm. If his hit and power tools eventually catch up, he’ll battle guys like Trout and Carlos Correa for MVP trophies every year. Yelich isn’t one of the 50 best players in the game, at least not yet. Still, he has a lot of factors working in his favor. Just 24 years old, he already has nearly 1,500 major league plate appearances under his belt, the kind of youth-plus-experience profile that often portends future success. He’s a gifted spray hitter whose ability to go to all fields and bang out lots of doubles (as well as his above-average speed) will serve him well in spacious Marlins Park. Finally, his contract’s a beauty, with the Fish owning his rights through 2022, and he's due to make just $11.5 million over the next three seasons combined. If Yelich ever develops some over-the-fence power, his contract would go from being a bargain to full-on grand larceny. After legions of top prospects stormed their way to the majors last season, this year’s crop lacks high-ceiling potential, especially among position players. That leaves a quartet of pitching prospects as the best bets to become future big-league stars, with their paths to glory potentially starting as soon as this year. ESPN’s Keith Law tabbed Glasnow as the No. 7 prospect in baseball in his midseason rankings last year, and with good reason. At 6'8", 225 pounds, Glasnow is the archetypal tall righthander, generating lots of swings and misses—293 strikeouts in 233 2/3 innings over the past two minor-league seasons, with just six homers allowed. He still walks too many batters, but after closing out last season with eight strong starts at Triple A, he should be pitching in Pittsburgh very soon. At just 19 years old, Urias is the youngest pitcher in this group—and someone the Dodgers have deemed untouchable over years of trade talks. He also made it all the way to Triple A by season’s end, a fast and impressive pace for someone that young. The Dodgers made multiple moves to shore up their rotation this winter, and Urias can benefit from more seasoning down on the farm. But a Kershaw-Urias combo atop the rotation is a real possibility in the near future. Rodon used up his rookie eligibility last season but remains White Sox property for at least six more years. He also proved he belonged in the majors. There were some issues with walks, but Rodon also fanned a batter an inning, posted one of the lowest home-run rates in the league, and caused opponents’ faces to do wacky things after witnessing the majesty of his vicious slider. Giolito rates as the best pitching prospect in the game right now, among both prospect hounds and baseball ops minds. A bruiser at 6'6", 255 pounds, he generates the kind of big fastball you’d expect from a pitcher that size, with a wipeout curve to go with it. At age 21 and with just eight starts above A ball, Giolito probably still has to wait a bit before donning a Nats uniform. But if you’re wondering how and why Washington would be willing to let a rotation anchor like Jordan Zimmermann bolt via free agency, Giolito’s the answer. "So why isn’t he even higher? Here’s one NL executive’s assessment: 'Different evaluators will treat a player with his unique skill set differently. Certainly a net positive asset value, but not close to my Top 50.' Another talent evaluator (mostly) jokingly called Altuve 'Jeff Keppinger with wheels.'" My apologies to both Altuve and Keppinger for that comp! 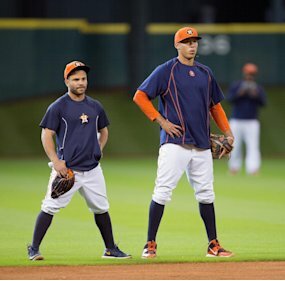 While the Astros’ 5'6", 165-pound dynamo is one of the smallest players the game has seen in decades, he also possesses incredible natural talent. Altuve packs great speed and supernatural hand-eye coordination into his small frame, which makes hitting well above .300 look like a snap (in an era when so few hitters do that anymore). Just 25 years old, he's already a three-time All Star and two-time Silver Slugger winner and is owed a tiny $20.5 million through 2019 (assuming the Astros pick up his two club options, which is a mortal lock), making him a cornerstone player for a young team on the rise. Watching him and Correa turn double plays for the next four years is going to be a treat, especially since Correa looks big enough to eat Altuve ... as an appetizer. Coming tomorrow: Part 2 of this year's Trade Value rankings, with Nos. 39–21.